Red Eye Security latest job openings. 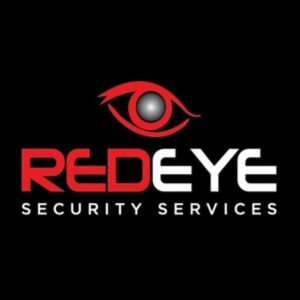 See the requirements and procedure to apply for Red Eye Security Limited Jobs below. Book meeting rooms as required, distribute and store correspondence (e.g. letters, emails and packages). Note: Applicants should reside around (Victoria Island, Lekki, Ikoyi, Obalende) and its environs. Type accurately, prepare and maintain accounting documents andm records. Note: Applicants should reside around (VI, Lekki, Ajah, Obalende, Ikoyi) and its environs. Map out driving routes ahead of time to determine the most expedient trip. Pick up clients from the place and at the time they’ve requested. Collect payments and issue receipts. Assist clients with loading and unloading their luggage. Listen to traffic and weather reports to stay up-to-date on road conditions. Adjust the route to avoid heavy traffic or road constructions, as needed. Answer clients’ questions about the area and local places of interest. Ensure the car seats are clean and comfortable for all riders. Applicants should reside around (Victoria Island, Ikoyi, Lekki, Obalende) and its environs. Applicant must have valid Drivers license and must be conversant with Lagos route. How to Apply for Red Eye Security Limited Jobs. About Red Eye Security Limited.